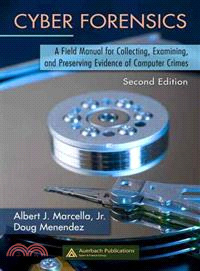 Designed as an introduction and overview to the field, Cyber Forensics: A Field Manual for Collecting, Examining, and Preserving Evidence of Computer Crimes, Second Edition integrates theory and practice to present the policies, procedures, methodologies, and legal ramifications and implications of a cyber forensic investigation. The authors guide you step-by-step through the basics of investigation and introduce the tools and procedures required to legally seize and forensically evaluate a suspect machine. Updating and expanding information on concealment techniques, new technologies, hardware, software, and relevant new legislation, this second edition delineates the scope and goals of cyber forensics to reveal and track legal and illegal activity. Beginning with an introduction and definition of cyber forensics, chapters explain the rules of evidence and chain of custody in maintaining legally valid electronic evidence. They describe how to begin an investigation and employ investigative methodology, as well as establish standard operating procedures for the field and cyber forensic laboratory. The authors provide an in depth examination of the manipulation of technology to conceal illegal activities and the use of cyber forensics to uncover them. They discuss topics and issues such as conducting a cyber forensic investigation within both the local and federal legal framework, and evaluating the current data security and integrity exposure of multifunctional devices. Cyber Forensics includes details and tips on taking control of a suspect computer or PDA and its "operating" environment, mitigating potential exposures and risks to chain of custody, and establishing and following a flowchart for the seizure of electronic evidence. An extensive list of appendices include websites, organizations, pertinent legislation, further readings, best practice recommendations, more information on hardware and software, and a recap of the federal rules of civil procedure.